These household chemicals can cause accidental poisoning to your children and pets. Keep the number for poison control handy: 800.222.1222 and call 911 immediately if your child becomes unconscious or has difficulty breathing. If your child gets chemicals in his or her eyes rinse them in a sink or showerimmediately. 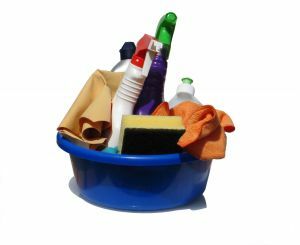 With the right precautions you can reduce the risk of your child coming in contact with household cleaning chemicals that pose a risk to your child.